As Vice President of Leonardo Centre of Excellence (CoE), Saj Kumar is responsible for driving adoption of SAP Leonardo Innovation Platform in Asia Pacific and Japan. The SAP Leonardo CoE drives key innovations around the Leonardo Innovation Platform for our customers. SAP Leonardo includes Machine Learning, IoT, Blockchain, Big Data, Analytics and Data Intelligence. Saj was previously the head of SAP’s Digital Transformation office driving the program for the top 25 customers in Asia Pacific Japan (APJ). 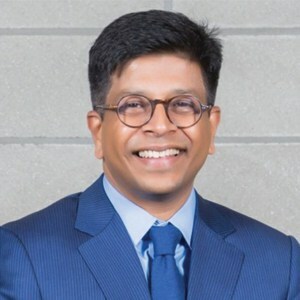 He started the IoT platform and applications business in APJ and was instrumental in driving awareness and critical customer engagements around IoT. Saj has been with SAP for more than ten years and has held several roles. Saj Kumar is an industry veteran, starting his career over 30 years ago, working with simulation systems. He has years of direct experience designing and implementing supply chain solutions in the manufacturing industry and has a keen interest in applying constraint-based planning techniques to solve complex manufacturing problems. Saj has worked with multiple High-Tech, CPG and Industrial Machinery companies in Supply Chain, Manufacturing and Procurement projects. He has an undergraduate degree in Chemical Engineering from India.